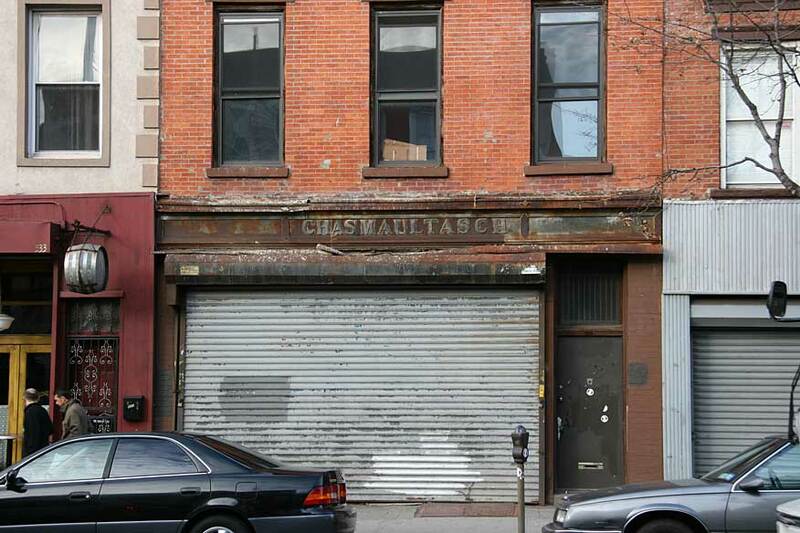 Charles Maultasch (1883-1938) ran a dry goods store at this location from 1920 until his death in 1938. Maultasch was an immigrant from Galicia/Austria who registered for the World War I draft in 1918 when he was 35 years old and self-employed at his dry goods store at 535 Grand St., Brooklyn. In his application for naturalization filed in 1906 Maultasch stated that he was born 19 Nov. 1883 and that he had lived in New York City since July 1901. This document is hand written and not easy to read, but his address at that time seems to be 191 Attorney St., Manhattan. The New York City telephone directory listed Maultasch in business at 205 Grand St., Brooklyn, from 1918 to 1920. Then in 1921 the address changed to 535 Grand St. In the 1920 U. S. Census Maultasch lived at 535 Grand St. His family included his wife, Anna, and three children, Diana, age 5, Milton, 3, and Ruth, 1 year and 5 months. In the 1930 census Maultasch still lived at 535 Grand St. His family now included a third daughter, Bernice, age 9. In July, 1938, the New York Times reported that Maultasch's estate had been appraised at $12,679 gross assets. Primarily this consisted of real estate appraised at $11,000. Following Charles Maultasch's death in 1938, the business at 535 Grand St. was continued by his son, Milton Maultasch (1916-1994), until 1976.